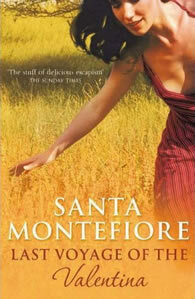 With San Valentino just around the corner, romance is definitely in the air. The Amalfi Coast is one of the top travel destinations for romance in Italy – popular for engagements, destination weddings, honeymoons and special anniversary celebrations. As a romantic at heart, I would love to share some of the places on the Amalfi Coast that would make a magical backdrop for a wedding proposal. Valentine’s Day is the perfect time for some romantic travel inspiration, so here are some of my favorite romantic spots on the Amalfi Coast. Along with Amalfi and Positano, the mountain top town of Ravello is one of the most popular choices for weddings, honeymoons and romantic trips on the Amalfi Coast. All I have to say is, “Why not?” It’s a pretty town free from traffic in the historic center with lovely gardens to explore and gorgeous views of the coastline and Bay of Salerno from high above. Ravello’s Palazzo Sasso made was ranked number 2 on Conde Nast Traveler’s Gold List 2011 for in the best hotels in Italy. And you know that’s some stiff competition! It’s just one of the many romantic spots to stay in Ravello. 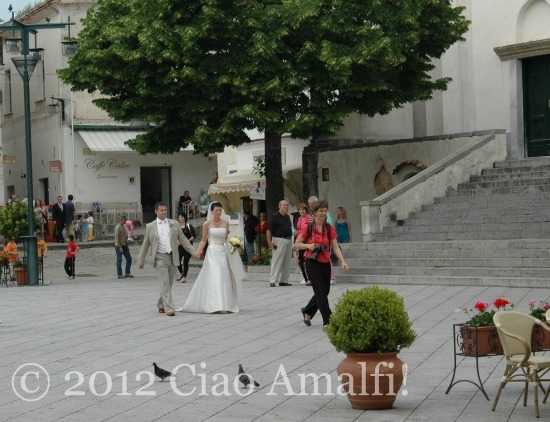 Even if you don’t stay in Ravello, the town has many perfect spots for a proposal. The Villa Rufolo right off the town’s main piazza is a beautiful historic villa with a gorgeous cloister (for architecture lovers) and pretty gardens. 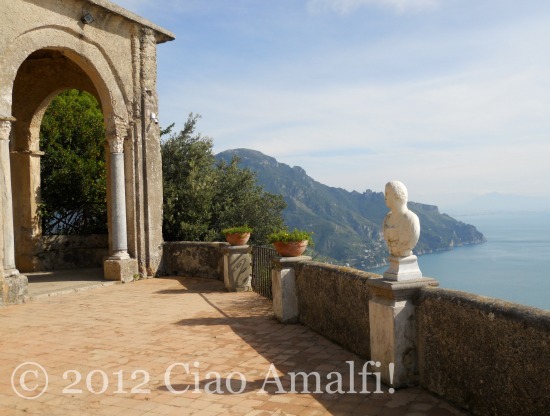 My favorite romantic spot in Ravello, however, is the Terrace of Infinity in the Villa Cimbrone. Lined with marble busts, this terrace has views overlooking the bay, where the sky and the sea seem to blend together stretching out to infinity in shades of blue. Let me begin by saying that just about any spot in Positano has a romantic allure. Walking along the tiny streets, under the wisteria in the springtime, overlooking the cascade of colors from high above, sitting under the beach umbrellas on the quieter Fornillo beach, or at one of many restaurants near the beach. For me, the sweetest moment is sitting on the beach and watching the sun set over the Li Galli islands in the distant. Pure romance! 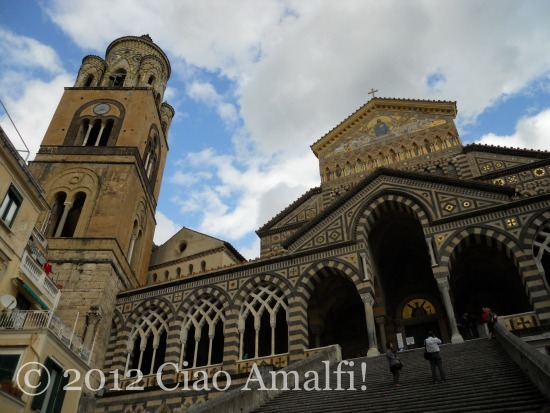 Make a grand gesture in a grand setting - on the Duomo of Amalf! Some many say it’s too cliché or expected, but I’d have to put the steps of the Duomo of Amalfi as one of the most romantic spots on the Amalfi Coast. Maybe it’s just that I’m an architecture nut. (Make that a romantic architecture nut, just to be clear.) Climb halfway up the steps, and instead of posing for a photo surprise your partner by popping the question. If the piazza and steps are crowded, I bet you’ll get an applause if the answer is yes! If you’re the quieter type, then I have just the place for you. 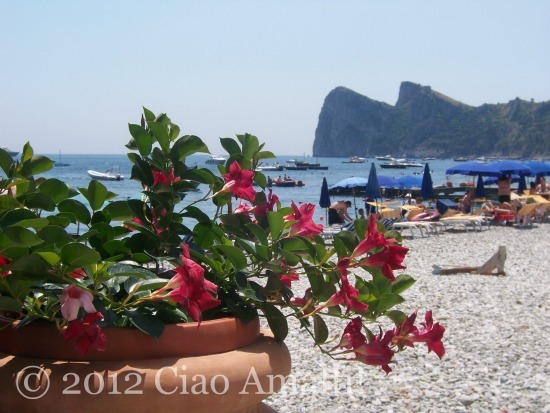 Take the boat from Amalfi to a little beach called Santa Croce just west of town. It’s secluded, romantic and one of the most beautiful spots for a swim on the Amalfi Coast. 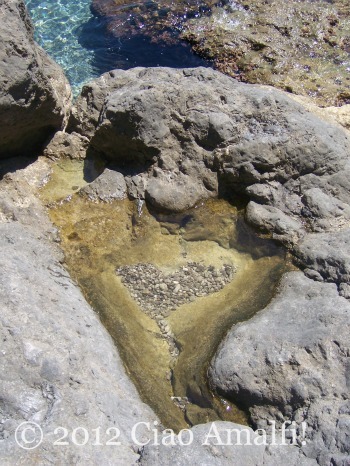 Look, even the rocks are all about love! How's that for a romantic sign? If you love being outdoors and hiking, the Amalfi Coast offers some irresistibly romantic views when you climb high up in the mountains. This is great choice if your partner loves a secluded spot and nature. 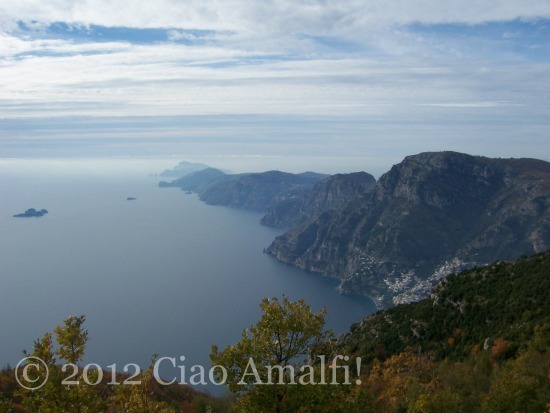 One of the most breathtaking hikes is along the Sentieri degli Dei (Pathway of the Gods) high above Positano. Just be prepared for a lot of steps! 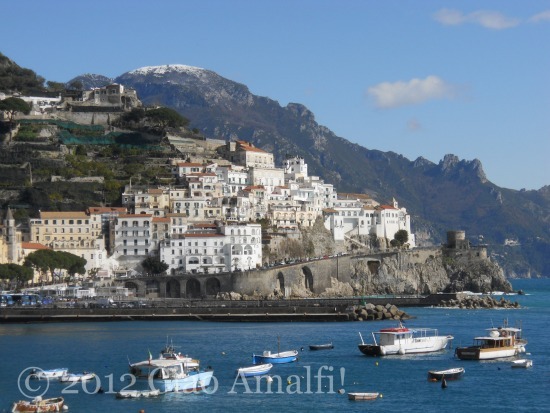 Seeing the Amalfi Coast from the sea is a beautiful experience, and best enjoyed from a small boat. Spend a leisurely day exploring the rugged coastline and stopping for swims in small coves where the blue of the water pulls you in. 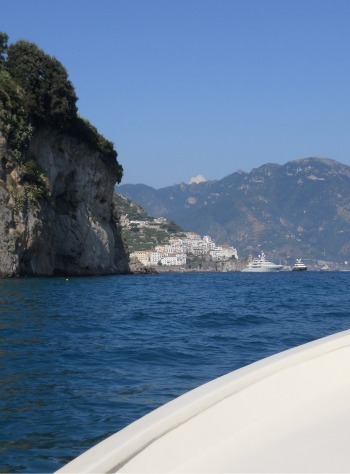 Daily boat rentals are available in Amalfi, Positano and other towns along the Amalfi Coast. For beautiful views of Amalfi and the coastline at an easier pace, hike up to the 15th-century watchtower Torre dello Ziro high above Amalfi. 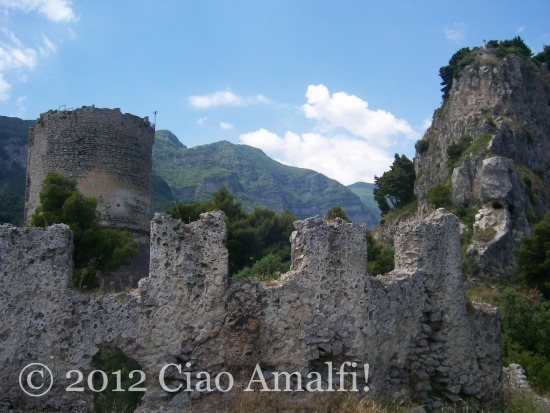 The walk begins in Pontone, a hamlet of the quiet mountain town of Scala, and leads up to the tower where you’ll enjoy views across the valley to Ravello and down to Atrani and Amalfi on the sea below. 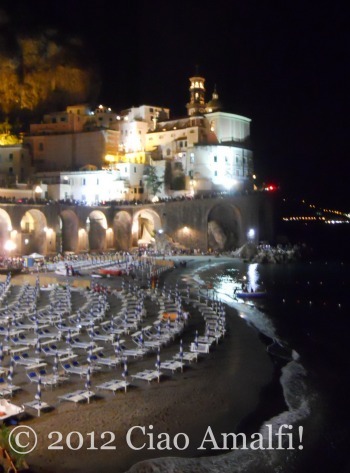 The little village of Atrani just a short walk east of Amalfi is one of my favorite spots for a romantic summer evening on the Amalfi Coast. Enjoy the lights of the town reflecting across the water while dining outdoors at the Ristorante Le Arcate. 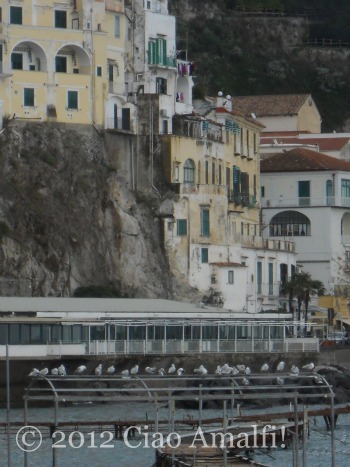 The town’s central piazza is a pretty spot for enjoying a drink before or after dinner, and the black sand beach is lovely and often less crowded than Amalfi in the summer. One of the most relaxing ways to spend an evening is enjoying the traditional passeggiata in Amalfi along the harbor to the end of the port. 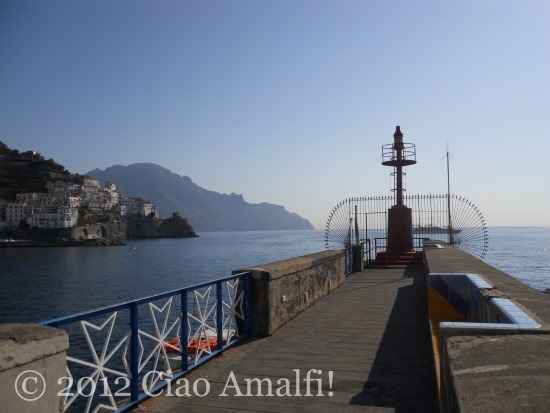 All the way out at the end of the pier you’ll find a panoramic view looking across the harbor to Amalfi. The view is wonderfully romantic at night, and I’ve always thought it would make a lovely spot to propose. I bet the lighthouse has seen many in its day! Looking for a secluded spot away from some of the summer crowds in Positano? 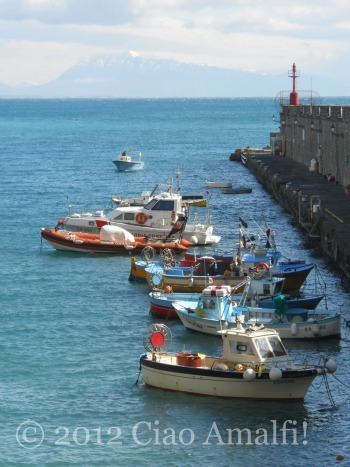 The little town of Nerano is the last one before the tip of the Sorrento Peninsula, and its seaside hamlet Marina del Cantone is a pretty spot for a romantic getaway overlooking a gorgeous bay. 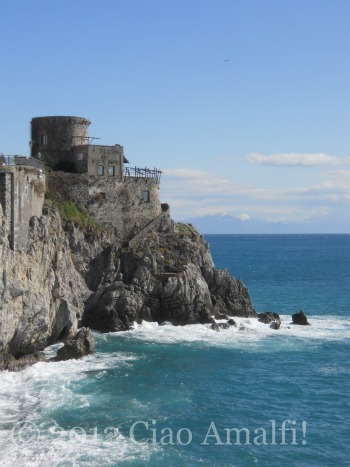 Excellent restaurants, beautiful hikes and a long beach make this a great location if you’re looking for an enchanting setting to propose on the Amalfi Coast. The colors of sunset stretching across the sea as the sun drops behind the dark outline of the Lattari Mountains on the Sorrento Peninsula. How’s that for romance? 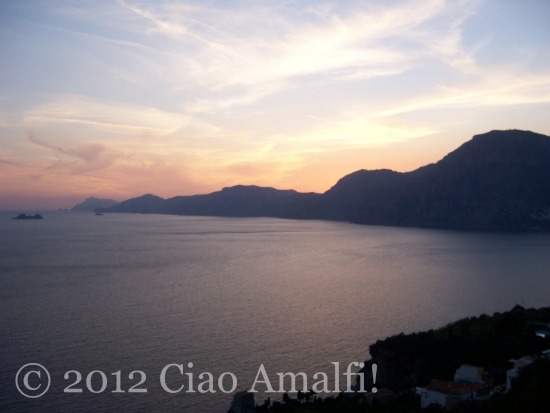 One of the best spots to enjoy sunsets along the Amalfi Coast is from the town of Praiano just east of Positano. 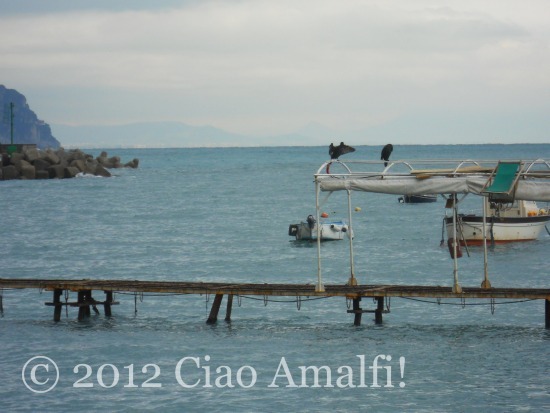 In the distance you’ll even spot the island of Capri with its distinctive Faraglioni rocks. Now you know where to find the views … you bring the romance! 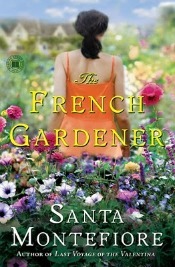 Romance exists, of course, wherever you take it. 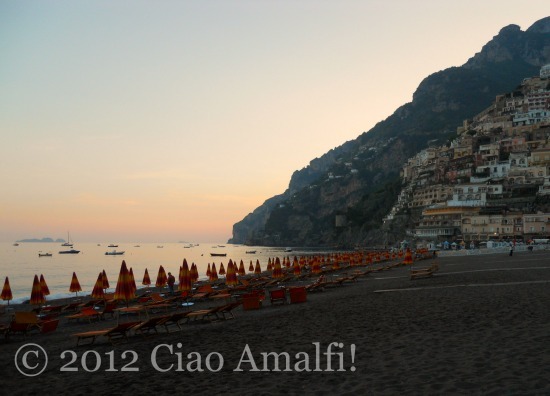 Wishing you a romantic trip to Italy’s Amalfi Coast! When it’s almost lunch time in Amalfi in the winter, the streets go quiet as the locals start to climb the steps that will take them back home. There aren’t many tourists around this time of year to keep the pizzerias and quick food spots busy during lunch. 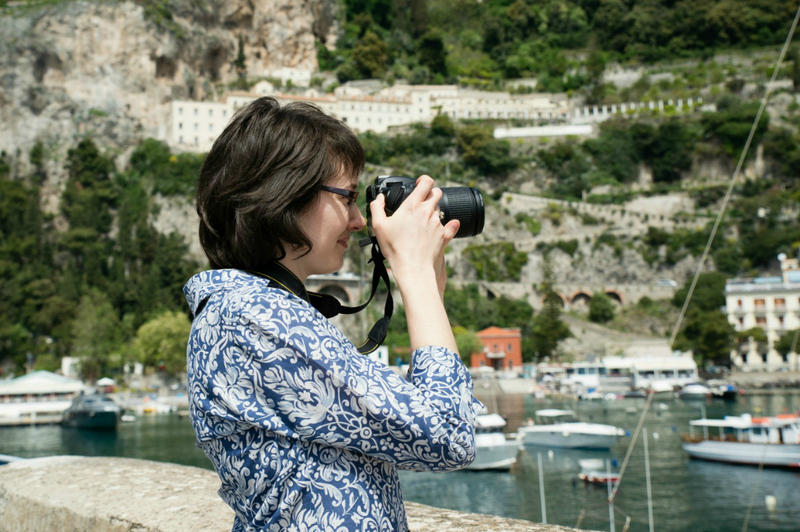 Yet, there’s always something to watch in Amalfi. Today I spotted two cormorants who had just taken a dip in the chilly water. They were preening and shaking the dampness off their feathers, likely wishing the sun would come out to warm them up just a bit. 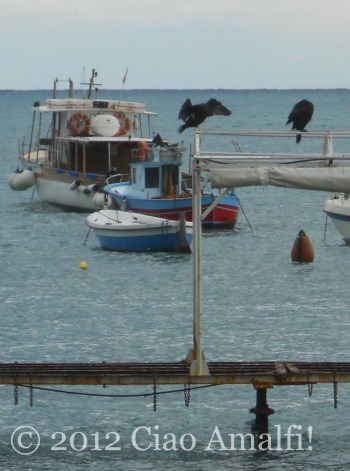 I’ve only seen cormorants (cormorano in Italian) in Amalfi a few times before, and I’ve never been able to get a photo of them. The way they dive under the water to hunt is fascinating, and I used to love watching them fish on the Mississippi River and when I was young in Florida. The seagulls also seemed satiated, and were lining up for an afternoon nap. I didn’t have time to do more birdwatching, because it was time for me to head home and make lunch, too!